1. For the topping – Mix the sugar and cinnamon together in a small bowl. 2. 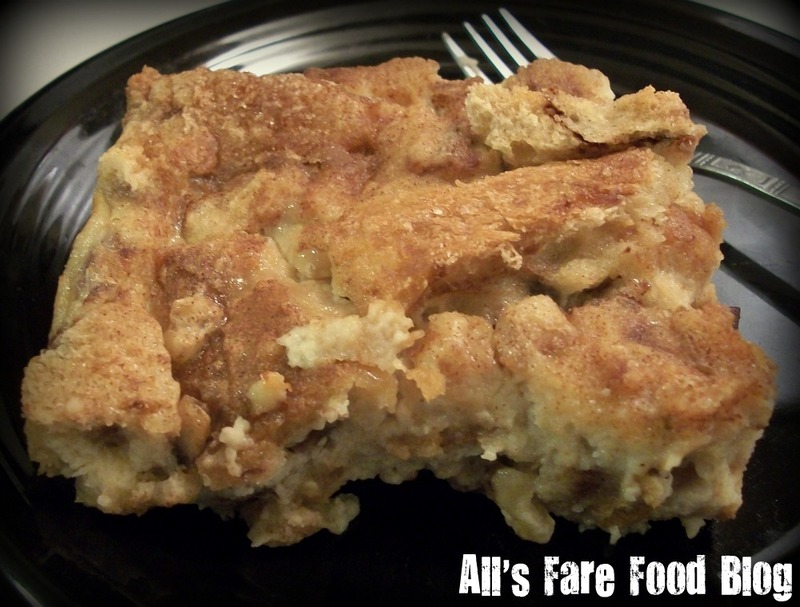 For the bread pudding – Adjust an oven rack to the lower-middle position. Preheat the oven to 325 degrees. Butter a 13×9-inch baking dish. 3. Whisk the eggs, yolk and sugar in a large bowl to blend well. Whisk in the milk, cream, bourbon, vanilla extract, nutmeg and salt. If adding cranberries and/or walnuts, mix in to bowl. Stir in 6 cups of bread cubes. Mix thoroughly to moisten. Let stand 20 minutes. Pictured: The bread pudding after it is removed from the oven. 4. Pour the mixture into the prepared baking dish. Scatter the remaining 2 cups of bread cubes on top. Push them down slightly to partially submerge. Brush the exposed bread with the melted butter and sprinkle with the cinnamon-sugar topping. Bake until the pudding turns deep golden brown and it begins to rise up the sides of the baking dish. It should jiggle very slightly at the center when shaken. About 45 to 50 minutes. 5. Remove from oven and let cool until set but still warm, about 45 minutes. Serve as is or with whipped cream or ice cream. Happy holidays and happy cooking! 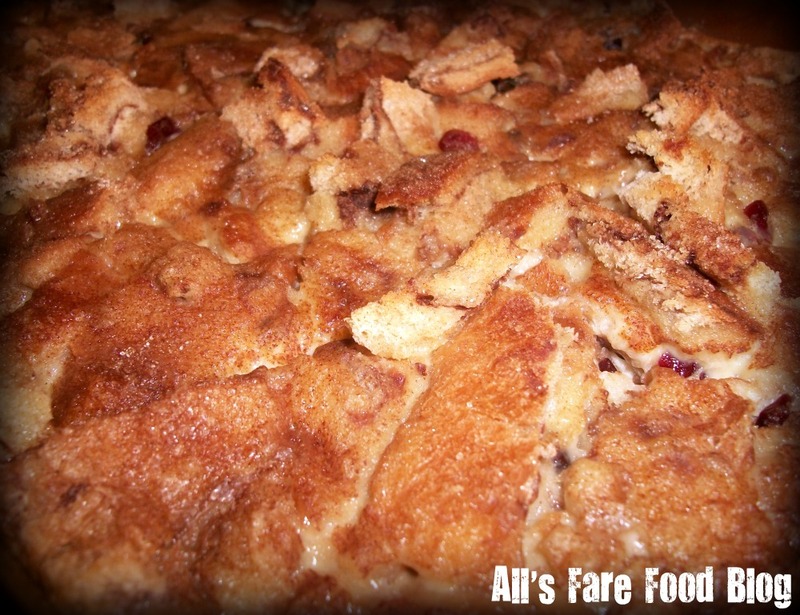 This entry was posted in Cuisine - Desserts, Recipes and tagged America's Test Kitchen, bourbon, bread pudding, Cinnamon Swirl bread, cookbooks, cranberry, dessert, egg nog, holidays, ice cream, Pepperidge Farm, recipe, walnut, whipped cream by Christina. Bookmark the permalink.